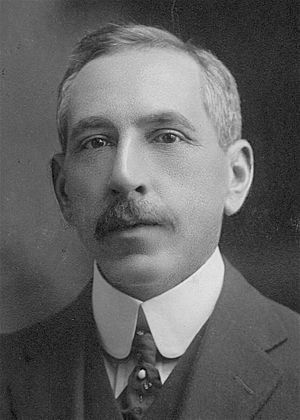 William Morris "Billy" Hughes (25 September 1862 – 28 October 1952) was the seventh Prime Minister of Australia. 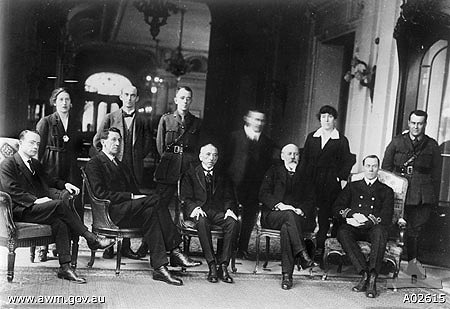 He became Prime Minister during World War I. He tried to introduce conscription but the public did not want it. His party, Labor, kicked him out and he formed a new party with the opposition called the Nationalist Party. He was Prime Minister for over 7 years which was the most of anyone at the time. He was forced to resign by the Country Party in 1923 but he stayed in Parliament until he died. 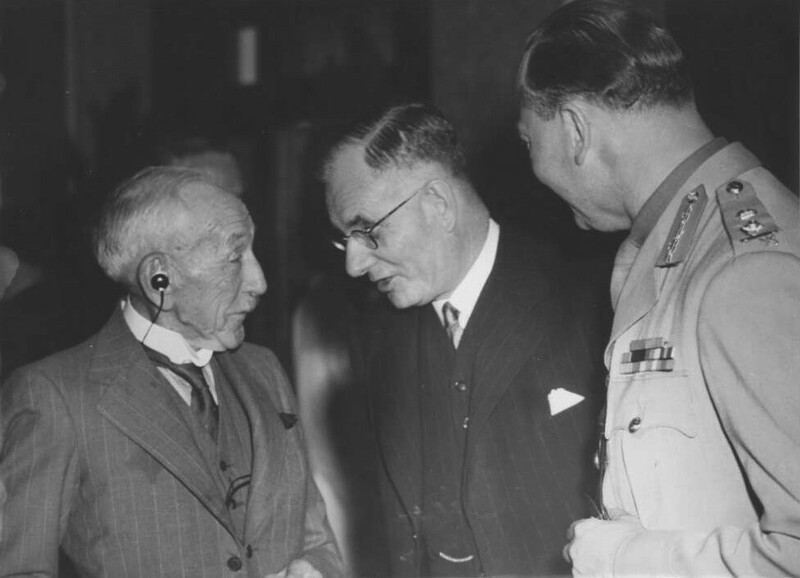 Before serving as Prime Minister, Hughes was Minister for External Affairs under Chris Watson. He was Attorney-General in Andrew Fisher's three Labor governments in 1908–09, 1910–13 and 1914–15. Group photograph of all Federal Labour Party MPs elected at the inaugural 1901 election, including Chris Watson, Andrew Fisher, Hughes, and Frank Tudor. Australian soldiers carrying the "Little Digger" down George Street, Sydney, after Hughes returned from the Paris Peace Conference. Billy Hughes Facts for Kids. Kiddle Encyclopedia.